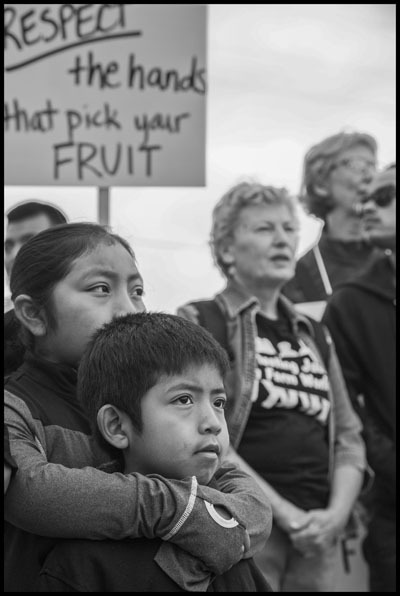 History was made on September 12, 2016 with the election of Familias Unidas por la Justicia (FUJ) to represent hand harvesters at Sakuma Brothers Farms in Washington state. 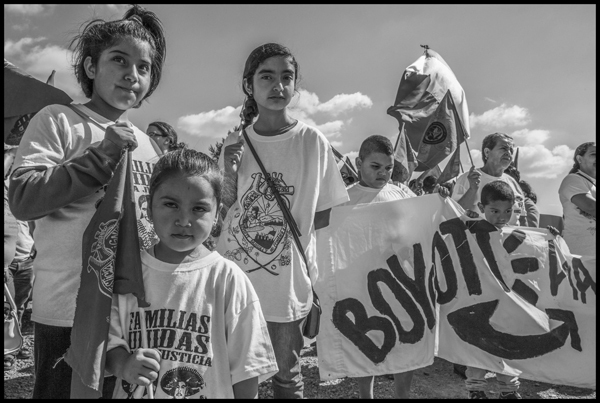 FUJ is an independent union, one of only a handful of farmworker unions outside of California, the only state with a legal framework to oversee union elections and collective bargaining, and the first union to be led by indigenous Mixteco and Trique farmworkers from Mexico. Hundreds of voters came to cast ballots at Sakuma Brothers Farms on that day. The paper ballots were hand counted before a small crowd including representatives of the farm and union as well as independent observers. The election itself and the formal recognition of the union, who won the vote 195–58, were historic. But a quieter history was made even before that day. Just a week before the election, the farm and the union signed a legally binding Memorandum of Understanding (MOU) outlining the election process, agreements regarding public communication and conduct by both sides, and the contract negotiation process that would follow should FUJ win the election. Note that farmworkers are not covered by the National Labor Relations Act (NLRA), the law covering union recognition and collective bargaining. Creating a process took the better part of the summer and helped address concerns in a neutral and fair manner. For example, one of the non-union farmworkers raised concerns that he had seen a list of workers the union had. He was afraid they were counting workers who had never agreed to be union members. The mutually agreed on process covered such concerns, spelling out that the election would be by secret ballot and that eligibility criteria included the number of hours worked in the current season. Any lists, public statements for or against the union, or any previous commitments were irrelevant. Only the vote cast at the election mattered. Though FUJ won the election by a wide margin, it was not unanimous. Fifty-eight workers voted against the union, either because they preferred no representation or would have preferred different representation. In addition, some workers did not cast a vote at all, many because, as migrant workers, they had already left the farm for the season. However, even those who voted against the union now have a democratic voice within the union. The process agreed on by both sides ensures that the election was fair and that both the union and the farm will remain committed and accountable to each worker, no matter their original vote. The agreement does not guarantee that there will be no problems or disagreements going forward, but it does ensure a process for resolving any conflicts and grievances fairly. Without boycotts, strikes and protests, news coming from the farm may be quieter now, but what is happening there continues to be historic and newsworthy. We asked Ramon Torres, President of FUJ, and Danny Weeden, CEO of Sakuma Brothers Farms, to share their perspectives on the process, as well as their visions for the future. Both speak of struggles — Ramon of immigrant farmworkers and Danny of the economic precariousness of running a family farm — but both also speak to hope for a brighter future for the farm and the people it supports. Familias Unidas por la Justicia (FUJ) came together to negotiate a contract with Sakuma Brothers Farms because we were facing many problems. Many of us are migrant workers, and our biggest needs are medical plans and good living conditions. Companies give us housing, but it is usually in bad condition. We are not just pickers, we also have families. When people get older, they should not have to keep working in the fields. We want to give workers a pension plan and the chance to rest. When they get to be sixty-four years old, workers should receive a pension so that they can sustain themselves and not depend on hard farm labor. Also, young people often start working at twelve years old to help their families pay rent and bills. We found out that the youth were only being paid 85% of adult wages. We think it is time to get the youth out of the fields and give them the option to study, at least until they are eighteen years old and can consciously decide what they want to do. That is why we came together to form our own union. It is important to organize ourselves because we are farmworkers and specialists in what we do. And we clearly understand that the only ones that can lead us or govern us are farmworkers. Getting a union contract will improve our quality of life. It will give us the opportunity to get more involved in the community — and give us a voice. One of the big milestones in our campaign came in 2014 when we organized and filed a class action wage theft lawsuit. Over 1,000 workers received back pay for the past three years. And thanks to this, there was evidence to go to the state supreme court and implement a state law granting that all workers in Washington state who are paid piece rate will now have a ten-minute paid rest break for every four hours worked. Si Se Puede! 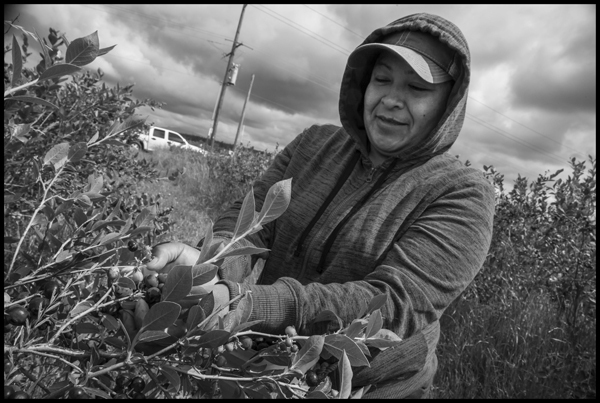 Winning the election for FUJ to represent farmworkers on Sakuma Brothers Farms last September was an important step and an opportunity to work with people who have been invisible for a long time. It signifies that we will have independence. We won with 77% of the vote out of 253 workers there that day. We have nearly 700 members from different companies. As immigrants, we did not think this would be possible, but the most significant thing is that we are led by farmworkers. Going forward, we want to help more workers from different farms to form their own independent unions and negotiate their own contracts. We do not want to represent all the workers, we just want to support them in forming their own unions. We are now working with some farms and organizing with other workers to decide the future role of FUJ in Washington state. Beyond our region, the benefits of FUJ’s victory can be seen, as other companies are now offering medical plans, vacation time and wages that are higher than the legal minimum. We have arrived at the conclusion that many farms can provide for their workers. We also think that we need to work with small family farmers as well. We have much in common, since we all live in the same communities, and the current food system hurts all of us. Sakuma Brothers Farms is a fourth-generation family farm with a 100-year history. When I was hired to be Sakuma’s CEO in early 2015, I was empowered to find a way to make the farm sustainable. Farming has never been easy. It takes a lot of patience and persistence. Even in the best of times, it is impossible to farm without the right amount of sun, water and labor — and a fair amount of faith. My first two summers with Sakuma have been the earliest and warmest on record in western Washington. 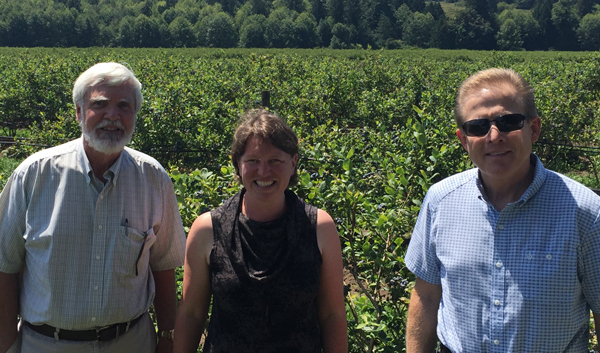 As one of the few growers of late-season blueberries, Sakuma has benefitted from higher prices paid for our berries that ripen after the California and Oregon berry seasons. The longer and hotter summers have meant that our berries ripened while the lower-cost berries still flooded the market, with unprofitable results. Like many farms across our nation, we have struggled with a shortage of workers to harvest our crops. 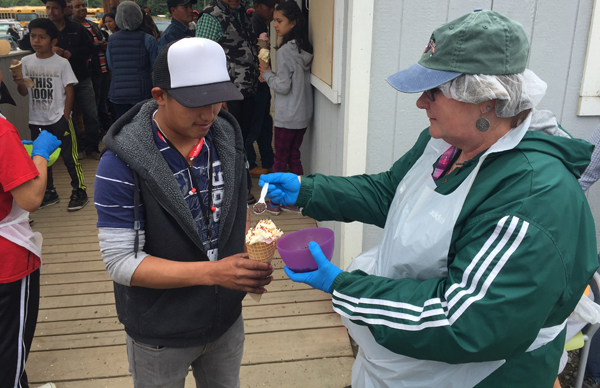 Instead of relying on the H-2A Federal Guest Worker program, Sakuma has recruited from within the community by attracting qualified workers through good pay and a caring culture. In addition to good wages, we offer free housing for workers and their families who travel long distances to work in our harvest. Our employees have cited our housing as a major, positive factor in coming to work with us. Prior to my arrival, Sakuma had become the focus of a movement to unionize by Familias Unidas por la Justicia (FUJ). Unlike most private workers in America who can unionize under the National Labor Relations Act (NLRA), farmworkers are specifically excluded. And although secondary boycotts are prohibited by the NLRA, FUJ targeted our customer Driscoll’s in an effort to force Sakuma to negotiate a union contract. It was not easy to respond to FUJ’s demands for a union contract. A statutory framework to implement such a process does not exist for farmworkers under federal or Washington state law. In search for a solution, and with the support of Driscoll’s, we developed our own process that allowed our harvest workers to choose whether or not they wanted to be represented by a union. Through a Memorandum of Understanding (MOU) with FUJ, we were able to present our harvest workers with a transparent process to allow a secret ballot election. A vote was held last September, and the employees chose FUJ as their representative. We are currently in the process of negotiating our first labor agreement with FUJ. While this is unchartered territory, I am hopeful that these negotiations will be productive and successful. Despite our optimism and a new relationship with FUJ, we continue to face seemingly insurmountable challenges for survival as a family farm. God has presented us with a strategic opportunity, an opportunity to come together in caring and cooperation to find a solution. From this, I believe Sakuma has an opportunity to be one of the best farms in America. I intend to do everything possible to make that happen, and I pray it will. Hand harvesters at Sakuma Brothers Farms will start the 2017 season with a contract negotiated between farm management and elected union leaders. This is historic. But the process laid out to get there is just as historic, providing a model for other farms that wish to end labor disputes and determine what, if any, representation farmworkers want. The fact that the farmworker union and farm management came to an agreement on what makes a fair process is the true historic moment — and one that we hope will have ripple effects throughout the industry. Congratulations on the MOU, ELECTION and REPRESENTATION! It will help,to,quell the rancour this past year and hopefully, allow workers, Sakuma’s, and Driscoll to get on with a better living standard and example for other producers!